British History Online is one of those half-free, half-not-free services. There are a ton of historical resources here, and you can get preliminary results at no cost. Searches routinely turn up church records, local government surveys and reports, legal documents, and so on. In good British fashion, records go back about 1,000 years! Do a general search on a family name, or an exact search (use the Advanced Search feature) to fine-tune your results. Similarly, the UK National Archives also offers quasi-free access to birth-marriage-death records, wills, citizenship information, passenger lists, etc. Searches will turn up a detailed description of each document, but there's a fee to see and download the actual document itself. You can search through a century's worth of The Guardian newspaper (1899-1999), and it's totally free. Results are full text-only, rather than actual page images. Drop back another century with more newspapers, semi-free, at the British Library British Newspapers collection (1800-1900). Some of the content here is totally free, but most of it will show only a snippet with your search term. There's a charge for the full image, though. This is an extensive resource with two million pages from dozens of publications, from the Aberdeen Journal to the Western Mail (Wales). It is well-worth a visit. Irish Newspaper archives (1846-present) are also online, though you see only a tiny snippet of search results, unless you pay for the full article. 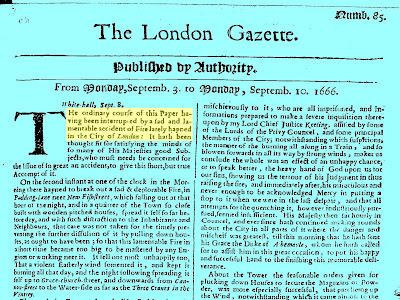 UK Gazettes, from London, Edinburgh and Belfast report on official government activities going back to 1665. There are an endless number of bankruptcies recorded here, among other events. From the looks of things, millions of individuals are named in these documents. Whatever English, Irish, Scottish or Welsh roots your family history has, they're probably mentioned in these resources, somewhere. The only search results I can get for The Guardian are post 1999! Anonymous...the search results at Guardian should go back further than 1999t. On the right is a column for "Refine your results by Date" and at the bottom of that column it says "Show More". Click on that, to see all dates available. Apart from the Edinburgh Gazette, not much use for genealogy, where is the Scottish info? The UK National Archives include extensive records from Scotland, including vital records (birth, marriage, and death). Be sure to have a look.